A picnic can be a fun summer activity the whole family can enjoy together, but there are some special considerations to keep in mind when Huntington Beach seniors family members will be part of your get together. Luckily, planning a picnic right in your own backyard can simplify things without compromising the fun. Read on for easy picnic ideas that will create lasting memories for Grandma, Grandpa, your children, and you. The beauty of hosting a picnic in your backyard is that you can control a variety of factors. 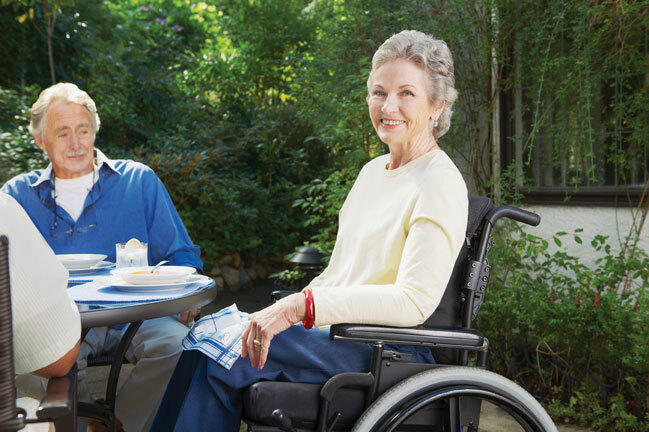 Choose a shaded spot on even terrain to protect your Huntington Beach senior parent from overheating or falling. You’ll also want easy access to the backdoor for bathroom trips and in the event the weather suddenly turns. Of course, if your parent has a condition that makes picnicking outside too difficult, you can always plan a picnic indoors, or simply take them for a picturesque car ride. When cooking food for your picnic, remember that the focus of the day is on spending quality time together—you, your Huntington Beach senior parent, your kids, and other extended family. Choose simple, healthy foods; you don’t need to plan a gourmet meal. If your parent has difficulty chewing, take corn off the cob and meat off the bone, but do this in the kitchen rather than out in front of guests, which might embarrass your parent. Chunks of watermelon make a sweet treat to cap the meal. Finally, keep water glasses full as seniors are more vulnerable to heat stroke and exhaustion.